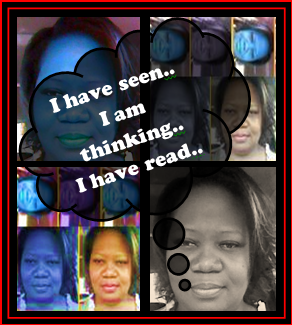 I am Shaking up the way I have my scholars summarize information. Whether this is taking your class outside, putting music on, removing desks, unplugging your tech lesson, going paperless…etc, lets break the routine and reflect. It gets old and hard to deal with. They hated writing it and after picking up the 31st paper, I am apt to declare, “Nope not interested at all. No thanks. Don’t want to read anymore.” But what I can deal with is a quick check that requires my Scholars to summarize the text in 25 words. Okay yes, I know I used the dirty s@@#$%^ word but the number of required words in the summary gives it an interesting twist. “Whoa! Wait!?!? What?!?! 25 words?!? !” – their response. “Yes, 25 words. No more. No less. Exactly 25 words.” – my response. Not only have I just decreased the number of words that I have to read but I have drastically increased the rigor. It takes some serious critical thinking to reduce a passage into a prescribed number of words. 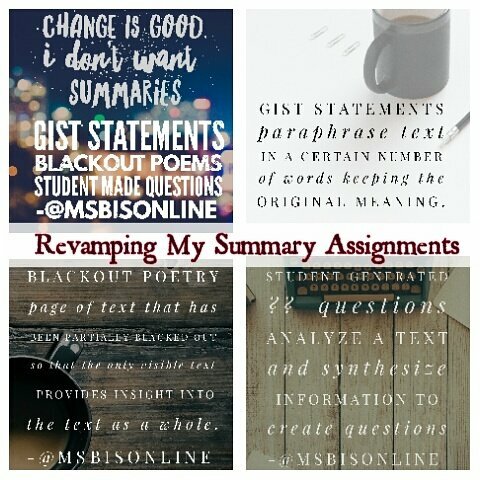 Gist Statements are just one way to rid your Scholars of the dreaded, boring, standard summary assignment. Learning experience: Learners will read and locate/synthesize information and create a summary of 20-25 words. Rationale: This strategy helps students identify the most important ideas in a text, put those ideas into their own words, and then make connections between among these important ideas. Objective: Read closely to determine the main idea or purpose of a text and eliminating all other words. Blackout poetry is a page of text that has been partially blacked out – colored over with a permanent marker so that the only visible text provides insight into the text as a whole. Learning experience: Learners will read, locate information of interest and highlight sections of a chosen text. 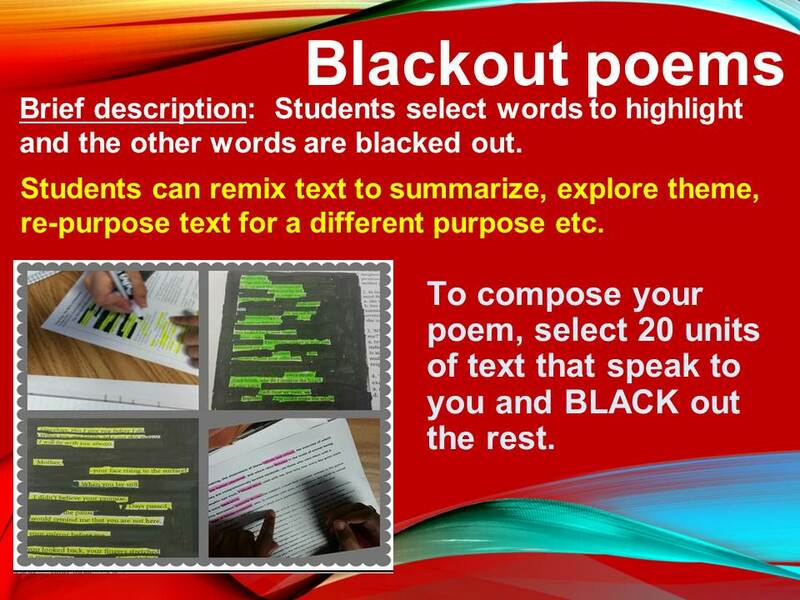 Student product: Text based poem that can be shared and displayed. Rationale: Creating BlackOut Poetry is an effective strategy to promote active and critical reading skills by requiring students to read the text and identify points of interest. These points of interest can either be teacher directed or student driven. Objective: analyze and synthesize a text and compose possible test questions. 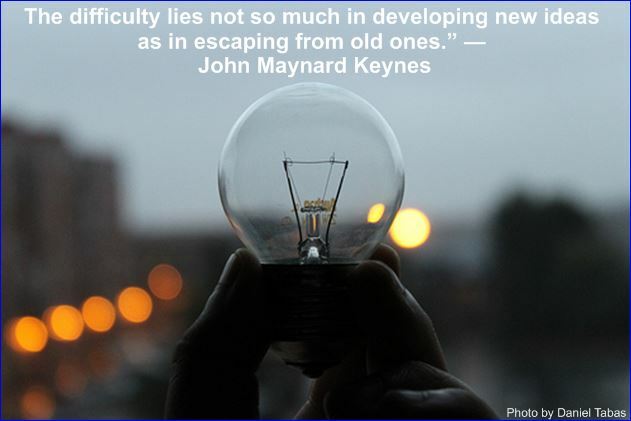 Learning experience: Learners will read and locate/synthesize information to create questions. Student product: Discussion and/or multiple choice questions.to be used for a test, Kahoot game or a round of Quiz-Quiz-Trade. 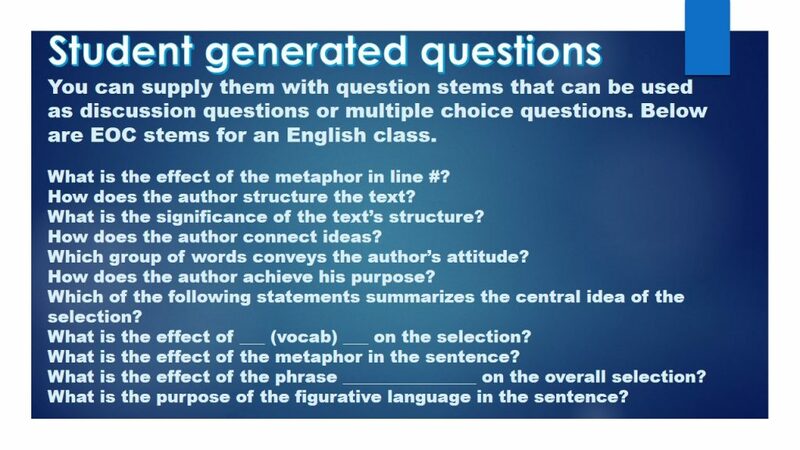 Rationale: Creating questions help students gain a deeper understanding of the text. It requires students to find textual evidence to support their question/answer choices. This activity requires students to explore concepts from the assigned text. 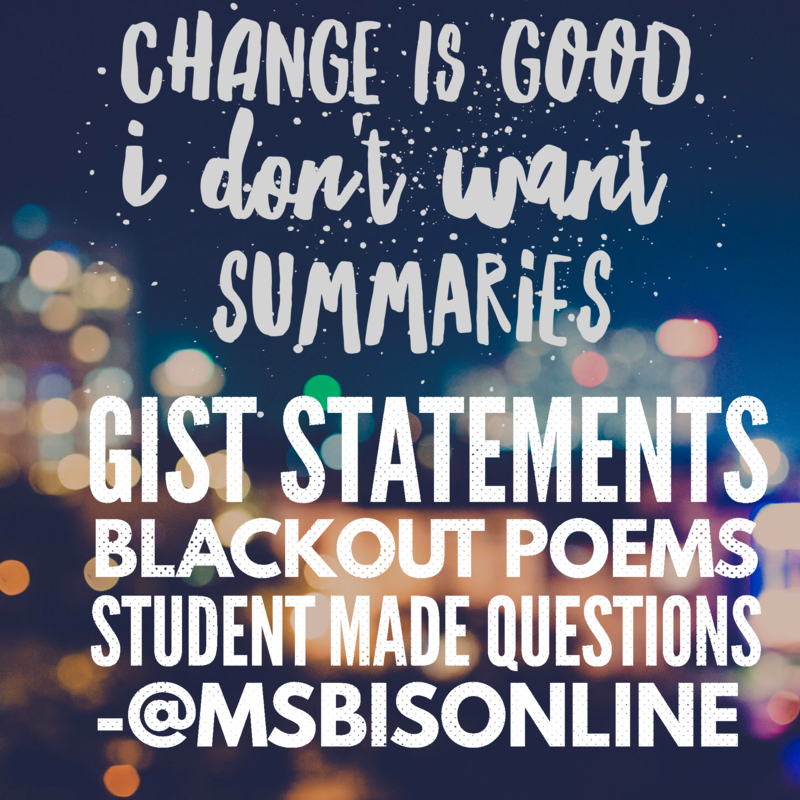 Can you revamp your summary game by using Gist statements, Blackout Poems, and Student Generated Questions? Try these activities out and I guarantee you that your Scholars will thank you. Condensing text drives many of them crazy and the responsibility of creating possible test questions scares many but at least it is not the same, boring assignment and you can get the necessary feedback that you need. Posted on February 19, 2017 by Ms. B.. 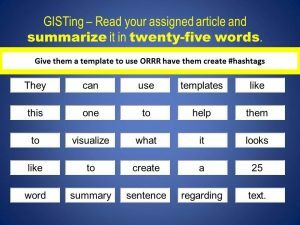 This entry was posted in #BlogAMonth, Blogging Challenge, Blogging, Web and Wiki Tools, Literacy Resources, My Class, My Tips, NonFiction. Bookmark the permalink.